Designed as a nature themed exhibit with a luxurious twist, The Enchanted Forest on 7 is adorned with the finest horn furniture and chandeliers, incredibly detailed textiles and artwork everywhere you turn. 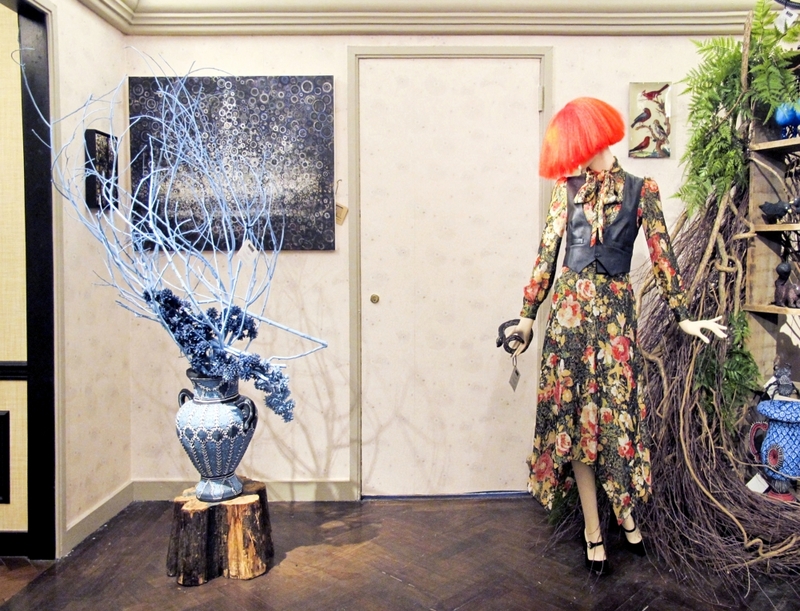 On our must see list: Artist Mark Gagnon and sculptor-turned-florist Emily Thompson’s vibrant papier mache objects. “I envisioned the hallway covered in branches so you would have the experience of literally walking through an enchanted forest with magical creatures popping out.” -Andrew Mandell, VP, DMM Decorative Home & Little BG. Discover the Enchanted Forest installation on 7 now through October 14.